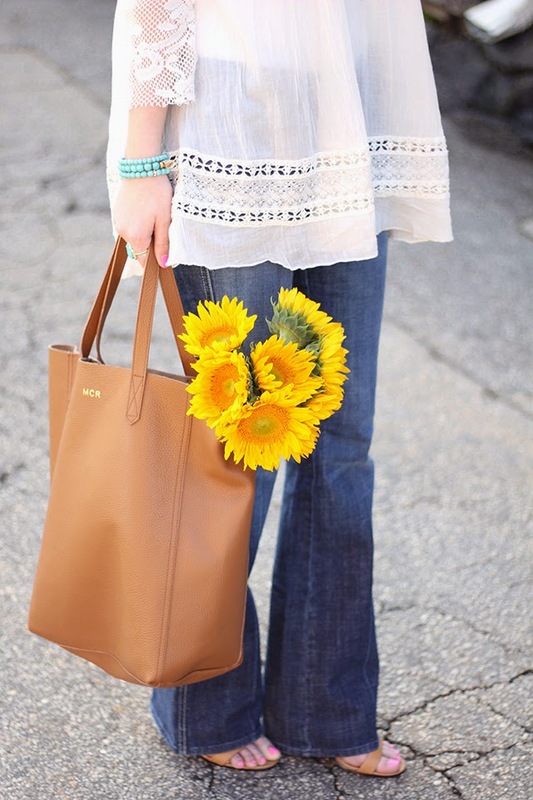 Once the weather warms up a bit, I absolutely love a fun, boho-chic outfit. 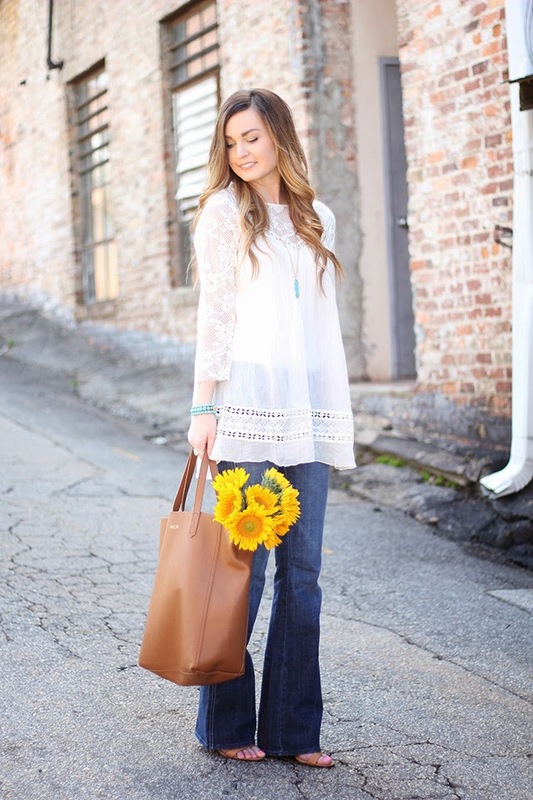 My go-to, classic style for creating this look is always flare jeans, an oversized tunic + layered jewels. I fell in love with this top the moment I laid my eyes on it and knew I wanted to style it with turquoise jewelry and cognac accessories. (P.S. - These shoes are my new favorite! So comfortable and perfect for Spring!) As of late, I'm constantly gravitating towards layering my jewelry. 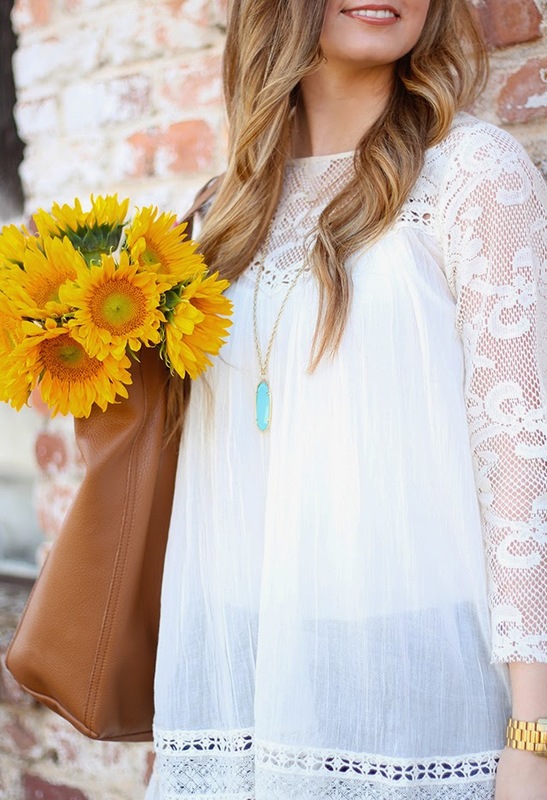 I love the extra color + detail it adds to an outfit and Kendra Scott is perfect for creating that look. For this outfit, I decided to mix a druzy stone necklace with a long, turquoise pendant + add a few turquoise bracelets and ring to tie the look together. Although I typically go for light colored stones and mixed metal jewelry, there's just something about warm weather that makes you want to pile on the color! This post was sponsored by Nordstrom, however, all opinions are my own. Thank you so much for supporting the retailers that support For All Things Lovely! 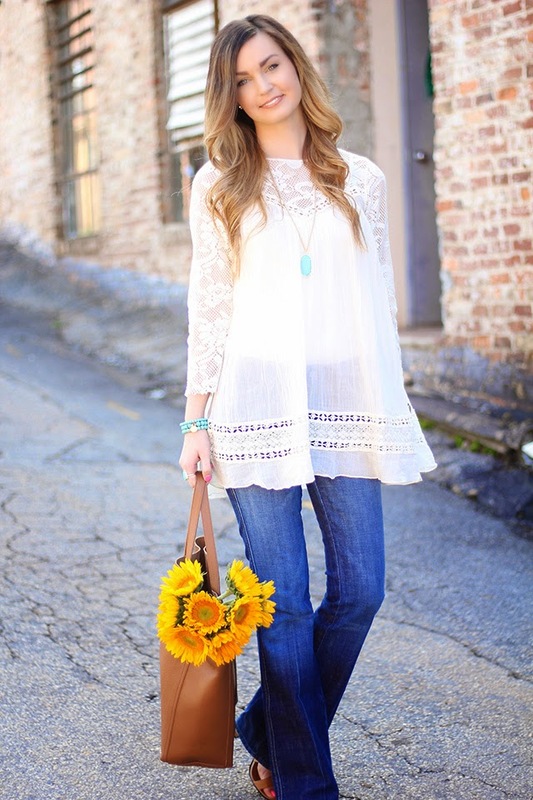 I love this boho inspired look! That top is so pretty! 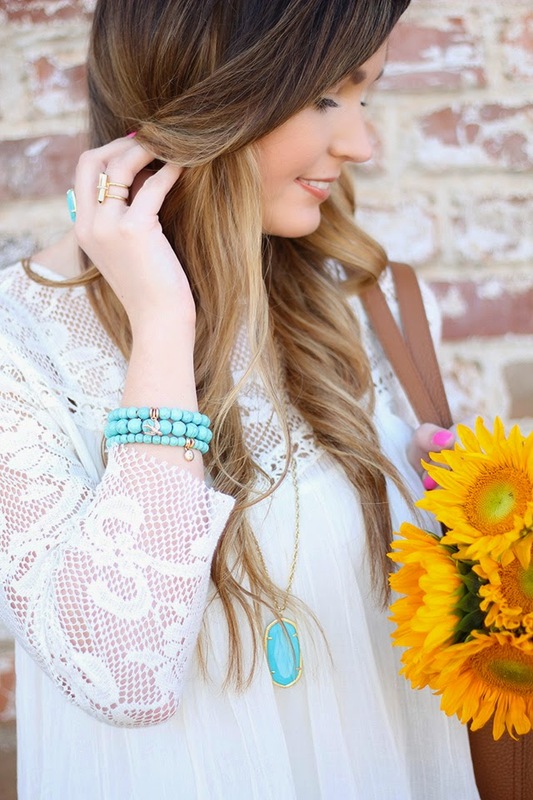 love that top with the turquoise accessories! I love the boho look. I am SO happy to see the 70´s are back in full force! 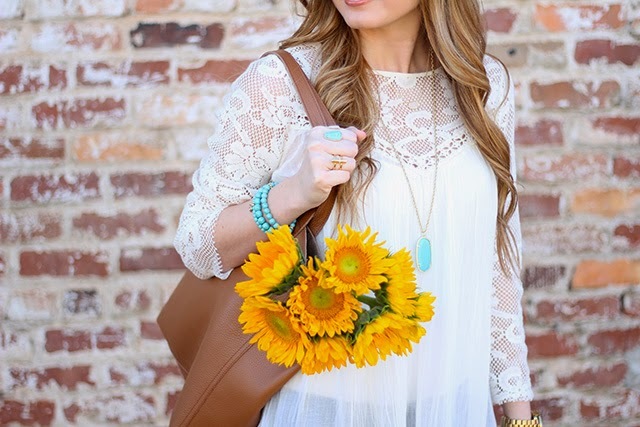 Love the outfit - great for Spring! You look so chic and stylish. I adore this combo and you did a fantastic job styling. I especially love your lace top! Those Jeans are the perfect wash! and that shirt is so cute. Great post! 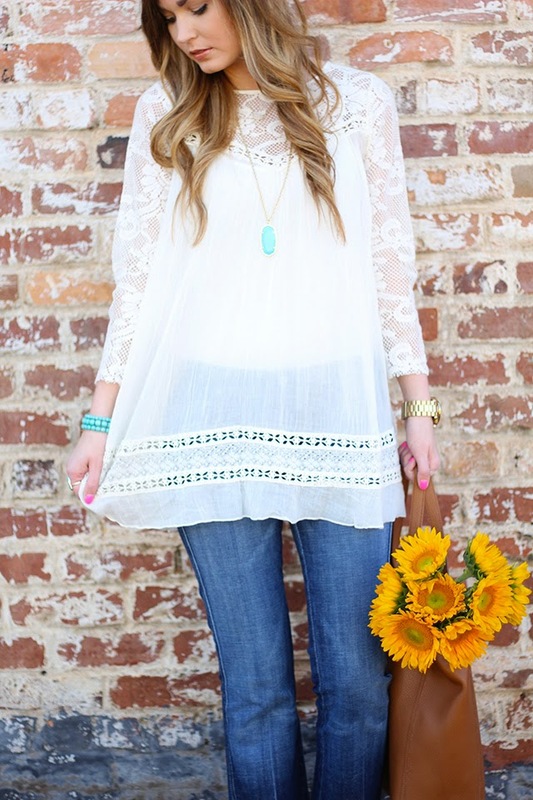 Love how boho chic this is!